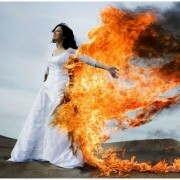 Trash The Dress…Looking for a way to put your wedding stress and anxiety behind you now that the big day is over? 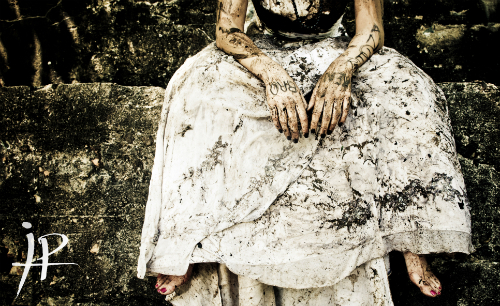 Photographer John Michael Cooper has an unlikely remedy: trash your wedding dress. The modern photographer created a concept that’s become a nationwide trend and is stirring up a bit of controversy. 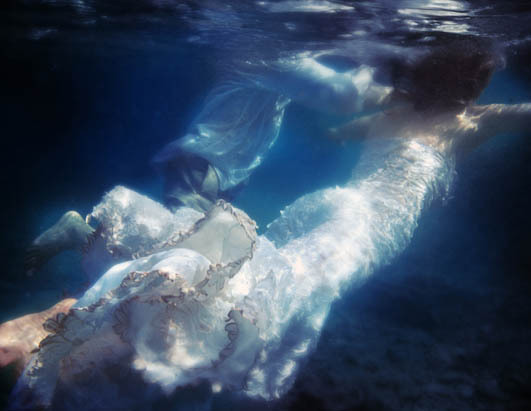 John Michael Cooper’s ” trash the dress ” idea is exactly what it sounds like. Sometime after the wedding day is over, brides meet up with their photographer or videographer for an edgy, symbolic, or disturbing film session where they literally destroy their wedding gown. Many brides who participate in the new tradition say that the destruction of their dress signifies their freedom from the stress and anxiety of planning a wedding. Each woman’s “tra sh the dress” day is unique and different. Some women choose water as their source of destruction, having their photographer snap pictures as they climb into a city fountain, roll on a sandy beach, or even wade into a dirty swamp. Others choose to have their new husbands help in the destruction, opting to be cut out of the dress with scissors or a knife or, in some extreme cases, set the garment on fire. Still others have chosen to rely on nature to ruin the gown by rolling in mud, sitting in dirt, or even hiking a dusty trail. While it’s an unconventional method to overcome wedding-related stress, many brides find the “trash the dress” festivity to be cathartic and therapeutic. They also enjoy having a unique photo or video to remember their dress rather than preserving it in a box in their attics or closets. Not surprisingly, critics find the act offensive and irresponsible arguing that if brides no longer want their dress, they should donate them to charities or less-fortunate individuals. Here is a great place to donate your dress – White Chicago. 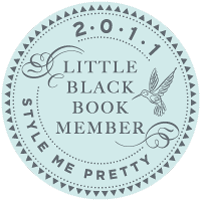 Music By Design was selected to be a member of Style Me Pretty’s exclusive 2011 Little Black Book. What is the Little Black Book? Our Little Black Book is a thoughtfully edited listing of only top quality vendors. Because our style-savvy, sophisticated readers deserve a chic resource they can trust, our book is created with them in mind. Our Little Black Book offers our readers a worry-free browsing experience while our Very Important Vendors enjoy a showcase in keeping with our firm commitment to quality vs. quantity. More than simply enjoying elite advertising space, our members are a handpicked community of artistic experts. In an industry saturated with long lists of anybody & everybody, our book is the most thoughtfully edited resource on the planet: a refreshingly couture idea. How do you choose the vendors for your Little Black Book? The process to become a Little Black Book member is actually quite extensive. First, they need to have been recommended by an SMP reader, a recent bride or an industry professional. We don’t simply look for a referral but rather for a passionate reason as to why a particular vendor deserves to be in the book. Perhaps the designer worked with a reader’s best friend when she was getting married, perhaps they have already designed the world’s most beautiful invitations for a particular bride and groom, perhaps an event planner that we know shares with us the one photographer that she will work with. Whatever the connection, it must be strong and based on a real knowledge of the vendor’s work. Second, we dive head first into the vendor’s business. Their portfolio, their experience, their time in the industry. We look at press that they’ve received, we chat with their industry neighbors, we get to know who they are and why they are good at what they do. We spend hours on the phone with each vendor, getting to know them, figuring out if they are honest, have a high level of integrity and are truly devoted to their craft. For highly competitive industries, like photography, we also have vetting teams. An unbiased group of style savvy vendors who can fairly, objectively, and accurately evaluate other’s work. And finally, after feeling completely confident that a particular vendor is fabulous, we invite them to be a part of our book! It’s an invitation only book that truly prides itself on it’s commitment to quality above all else. Send out save the date cards as soon as possible since your wedding will fall on a holiday weekend. Dress up ordinary wedding invitations and wedding with inexpensive silk fall leaves included in each mailing. Instead of gaudy arrangements featuring pricey blooms – keep your decor a simple enhancement to mother nature’s natural bounty. 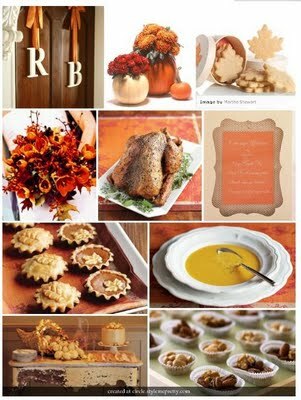 Use the autumn harvest for inspiration; think gourds, pumpkins, squash, gold dipped fall leaves…you get the idea. 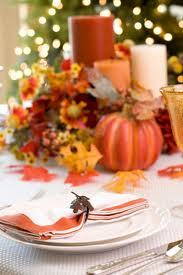 Use hollowed out pumpkins or cornucopias for centerpiece holders. You’re not confined to rustic and casual for Thanksgiving. Create a posh Thanksgiving ambiance, and drape lush velvet in a rich chocolate brown or gold throughout your party space. Accent the scene with antique broaches, crystal candelabras and stemware. The food is the main attraction for this party. You cannot go wrong with traditional favorites: turkey, red potatoes, corn bread dressing, green beans, and honey glazed carrots. Consider incorporating your family recipes into your wedding menu and serving the meal family style (if your guest list is small). Serve traditional fare in sophisticated, creative ways. For instance, present soup or veggie puree in mini shot glasses or hallowed out gourds, or warm apple cider in glass mugs with cinnamon sticks. To round out the thanksgiving feast – serve a pumpkin cake or even a tiered pumkin pie! Wedding favors often evoke a “been there, done that” response from wedding guests. Looking for something a little more memorable than a bag of Jordan almonds? Here are our top choices for a few inspiring guest thank-yous. After dancing for hours, rolling out individual snacks like mini hamburgers with a fixings bar are a big hit. We did see a couple have Gene & Judes Hot Dogs delivered. The guests loved it. 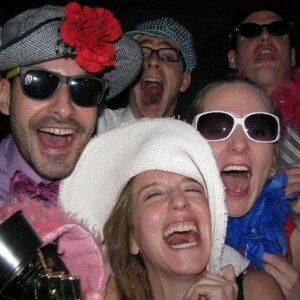 Rent a photo booth and let your guests take turns posing for the camera. Set up a DIY station with mini-frames so they can take home their favorite shots. If you really want to impress, give your guests something sublimely stylish yet useful to kep them smiling through the elements: stylish sunglasses (to deflect glare), sleek umbrellas (in case of rain), or cashmere scarves (should a breeze pick up). Place small journals at each place setting, and write every guest a personal thank-you note on the front page. Liven up the party, and hand out maracas, small horns, or even kazoos – a great idea for a theme wedding. Gather a collection of favorite family recipes from both sides into a small recipe book or box printed with your names and wedding date. Send guests away with a final parting gift, and enlist the parking attendants to place a flower with an attached thank-you note on the dashboard of each car. If you’ll be providing guest transportation, be sure to place a basket of these favors at the front of the bus for guests to take prior to departure. Yes, this idea has been done – but altruism is at an all-time high, and we’re jumping on the bandwagon . Donating in the name of your guests to a charity, one that holds special meaning for the two of you, adds another sentimental personal touch to your wedding. If you don’t host your ceremony in a house of worship or in the same location as your reception, you can get creative with your ceremony location and exchange vows at sunrise on the beach or at sunset from the rooftop of the tallest building in your metropolitan area. Get more ideas for unique ceremony sites. Use the season or your location as an opportunity to greet guests with a refreshing drink. Lemonade and sweet tea will quench your guests’ thirst while gathering in the blazing sun, or serve hot apple cider to warm your guests during chiller months. Make your entrance especially grand by being escorted by your pet dog or by arriving on a white horse. Not a new concept, but speaking from the heart by writing your own wedding vows or incorporating personalized poems and popular wedding readings or even humorous wedding ceremony readings into your ceremony will surely grab the attention of your guests. You shouldn’t feel bound by the need to have your celebration in your hometown or the town in which you currently reside. Don’t be afraid to consider something unexpected. Bring your event to your favorite vacation spot or another location that has special meaning to you and your hubby. Everyone can appreciate some time away. Think outside the banquet hall and bring your celebration to a naturally beautiful venue like a garden or museum. Your guests will enjoy strolling around picturesque grounds or appreciating timeless works of art. Add some visual interest to your setting by interspersing different shaped tables throughout the room or seating your guests at long tables for a family-style affair. Who doesn’t like something with the word “bar” attached to it? Your guests will delight in all things bar, from a mashed potato bar or dessert bar to an espresso or martini bar. If you have a strong heritage, have visited a favorite world destination together, or even just have an affinity for a particular variety of cuisine, revolve your menu around that ethnic specialty. Offer delectable comfort foods with a twist, served up family-style – a great icebreaker for your guests. Take inspiration from the season and serve a menu that offers a theme of seasonal favorites. Break out of the conventional chicken-or-fish mold and base your entire meal around cocktails and appetizers or coffee and desserts. Fondues are making a comeback, and whether you prefer sweet chocolates or savory cheeses, your guests will relish in the rich offering. Try pairing a few uncommon colors together or featuring varying shades of the same color throughout your space. Fill cylindrical glass vases with fruits and vegetables reflecting your colors. Oranges, lemons, and limes have been done so try a unique, more contemporary look with mangos or coconuts or tie it to the season with texture-rich earthy vegetables like husked corn, acorn squash, or artichokes. Consult Mother Nature for inspiration, and bring the outdoors in. Natural objects like stones, leaves, pinecones, even twigs can add an organic aesthetic to your reception décor. Place in rustic containers or scatter amongst pillar candles for added ambiance. Floating candles in a shallow bowl adds lighting and elegance to your tabletops. Or arrange multi-level candles on a mosaic of mirrors or tiles and surround them with seashells or flower petals. Placing coffee beans or red hot candies at the bottom of a vase or bowl to hold the candles steady also adds an aromatic effect. For the kid at heart, fill decorative bowls with your favorite candies – such as jellybeans and M&M’s – in your wedding colors. Find even more inspiring ideas for unique wedding decorations in our complete guide to wedding flowers and decor! If “Here Comes the Bride” doesn’t suit your style or personality, choose a song that does. There is no written rule that states you can’t make your grand entrance to a rendition of your favorite Beastie Boys’ song. If you desire live music over a DJ, consider tying your musician selection to the theme or location of your event. A beachside bash naturally lends itself to the sound of steel drums, while a trumpet quartet will sound impressive in an elaborate cathedral. Take it one step further and zone in on the music that is indigenous to your wedding location. Guests attending a Mardi Gras-themed event in New Orleans will bask in a cocktail hour of Dixieland jazz. Can’t decide which you would rather have? Have both to ensure that all types of music are represented throughout your day to please both your 85-year-old grandmother and your 21-year-old cousin. 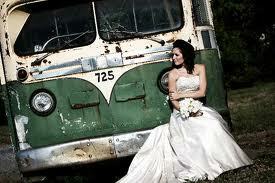 More and more brides are leaning toward hiring a photographer who specialized in a photojournalistic style. These photographers shy away from posed shots and aim to capture all of the candid moments that you’ll always want to remember or may have never seen. Hire your photographer to follow you throughout your entire day (leading up to the “Do Not Disturb” sign, of course). While it may make you feel anxious to have someone photograph you as you get ready, these shots will help you to remember the joy and anticipation of every part of your big day. Read more ideas for creative wedding pictures. Some brides believe in the “less is more” adage. A simple cake minimally ornamented can make a bold statement. Looking for a subtle way to break away from the ordinary? Square tiers make a modern presentation. Whoever said “it’s hip to be square” must have been in the cake business. If cake isn’t your favorite dessert, then don’t feel the need to serve it to your guests. Apple crisp, peach cobbler, pumpkin pie, cupcakes, or even glazed doughnuts are a hit at the dessert table. The end-of-meal offering doesn’t have to be made of flour and frosting. Think savory instead, and visit your local cheese shop to have them construct wheels of cheese in tiers and stacked to look like traditional wedding cake. Our complete wedding cakes guide has even more advice and a list of creative and unusual wedding cakes ideas. You can also browse hundreds of pictures of wedding cakes in our wedding cake gallery. Today’s brides are opting to wear not one dress, but two! Wear an elegant gown while you exchange vows, then slip into something a little more comfortable to round out the evening. A white wedding dress symbolizes innocence and purity, but if that’s not your style, feel free to bring out your colorful personality by adding a splash of color to your attire. You can be as subtle as a colored sash and jewels or as bold as a fuchsia-colored dress. Anything retro screams chic these days. So why not consider donning your mother’s vintage gown as a tribute to a family legacy. A few alterations can make it your own. If your heritage is important for you to represent on your big day, do some research and find a stationer who offers multi-cultural invitations and announcements. For more intimate, casual gatherings, request the honor of your guests’ presence in an innovative and entertaining way. Here’s an idea – have your invite printed on a balloon so guests have to blow them up to receive the message. Do something a little different with your wedding programs by including personal photos or by printing them on something that serves a dual purpose – like a fan. Get the most bang for your program buck by including stories of how the two of you met, who introduced you, and your relationship to everyone in the bridal party. Think of all the time you’ll save by not having to explain all of this to your husband’s childhood neighbor during the reception! If the size of your bridal party doesn’t warrant a stretch limousine, consider arriving on horseback, on the back of your husband’s motorcycle, or in the passenger’s seat of your dad’s antique car. Use photo frames as place cards or potted plants as centerpieces, and let your guests take them home at the end of the night. Give your guests something they can enjoy for years to come. A small bag of seeds to plant will remind them of your big day every time they smell the flowers. As if a five-course meal wasn’t enough, send your guests home at the end of the night with an extra treat of your favorite candies or special hometown delicacies. With a high emphasis on karma these days, give something back and make a donation to your favorite cause in lieu of knickknacks. Your guests will appreciate the altruistic gesture. After seemingly endless Friday nights spent planning showers and licking envelopes, your bridesmaids are going to need a little pampering of their own. A spa gift certificate is the perfect way to thank them for their hard work. Make out-of-town guests feel welcome by greeting them with a basket of goodies in their hotel room. Include some essentials that will make their stay more comfortable, and incorporate some items that are reflective of your wedding location. Nothing like some bottled water and Vermont maple syrup to get them through the weekend! If time away is more important to you than a waffle iron, consider setting up a honeymoon registry. Many travel agents offer services to collect, record, and apply contributions from your guests toward your honeymoon travel expenditures. Some even allow guests to contribute to specific activities at your destination location, such as scuba diving lessons or boat rides. If your house is already stocked with all of the essentials, give something back instead. Many eco-friendly organizations such as the World Wildlife Federation offer donation registries. Let some of these favorite ceremony readings inspire you while writing your wedding vows or customizing your ceremony with wedding readings. If you’re personalizing your wedding ceremony with meaningful readings, delve into the world of literature, poetry, quotes and lyrics for inspiration. Spend some time at the library reading works by your favorite authors; listen to lyrics from songs that moved you—even consult Hollywood for some lines that strike an emotional chord. This list of popular wedding ceremony readings will get you started. or the wife to have the wings of an angel. and the obligation is reciprocal. For each of you will be comfort to the other. There is but one life before you. Be good and long upon the earth. The best love is the kind that weakens the soul, that makes us reach for more, that plants fire in our hearts and brings peace to our minds. And that’s what you’ve given me. That’s what I hope to give to you forever. Poets often describe love as an emotion that we can’t control, one that overwhelms logic and common sense. That’s what it’s like for me. I didn’t plan on falling in love with you, and I doubt that you planned on falling in love with me. But once we met, it was clear that neither of us could control what was happening to us. We fell in love, despite our differences, and once we did, something rare and beautiful was created. For me love like that has happened only once, and that’s why every minute we spent together has been seared in my memory. I’ll never forget a single moment of it. When it comes to planning the timeline of your reception, you may not be sure how to organize your timeline. “This is my first wedding and I have no idea what to do.” We hear this time and time again. Please remember, hiring “high-end” wedding vendors will make your planning so much easier. Music By Design is a wedding expert and is will help your event flow smoothly – your wedding reception should be a stress free time of enjoyment. You will meet with the banquet captain and discuss your timeline with your DJ prior to your reception. Below is an example of a standard timeline. Please keep in mind, it is your event. The following is merely a suggestion based on experience, and is in no way set in stone. Your vendors are there to accommodate you provide the best experience possible. Why cut your cake immediately after being introduced? Cutting your cake immediately after being introduced is a good idea for several reasons. First, it allows the banquet hall to remove the cake early and begin slicing it for your guests in time for desert. Second, you already have the attention of everyone in the room immediately after being introduced. Third, the photographer has an opportunity to take your pictures before you begin eating. The groom may want to remove his jacket and roll up his sleeves for dinner. Taking the cake cutting pictures early ensures that you still look your best. How many speeches should we have? 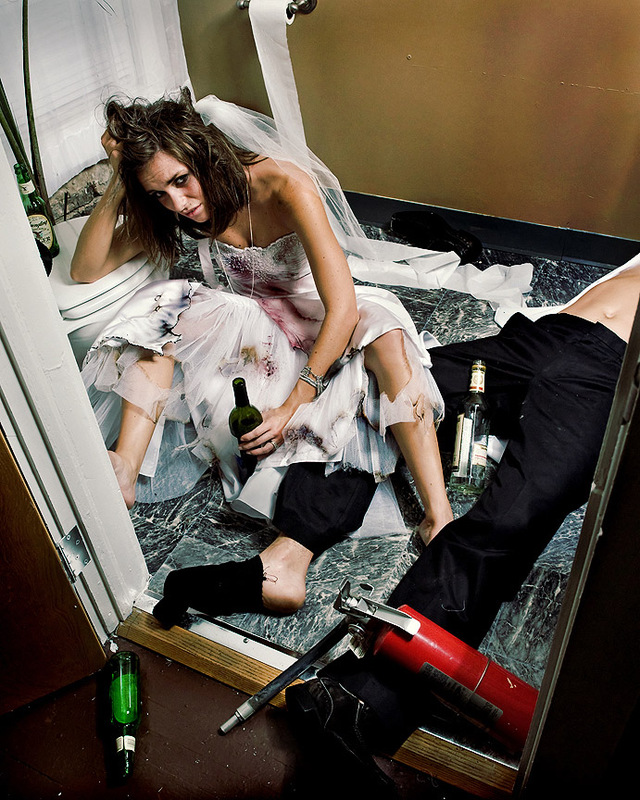 It is traditional to have two speakers, your maid/matron of honor and best man. We suggest that each speech be kept to a maximum of 5 minutes. By keeping speeches short and sweet, you retain the attention of your guests and assure that dinner is served on time and hot. It is recommended that all speeches be given before dinner is served. Having speeches given during food service can be distracting and draws attention away from the individual giving the speech. Your vendors will be flexible, just make sure you know in advance how many speeches will be given. Some family members may want to give “surprise” speeches. Unless previously scheduled or given the green light by the bride and groom, your DJ will not give the microphone to guests that are not on the schedule. This ensures that your reception flows nicely and allows plenty of time for dinner service and all your other formalities. What if the bride and groom wants to give a welcome speech? We want a video montage. How long should it be and when should we play it? 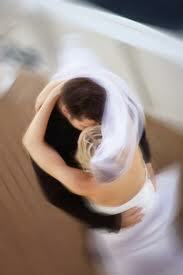 It has become very popular to include a slideshow during wedding receptions. A slideshow is a nice way to display your love story to your guests and is sure to draw laughter and tears from those who love you the most. However, a sideshow that is too long can have an adverse affect and cause your guests to lose attention and interest. We recommend keeping your slideshow between 6-7 minutes long using roughly 100 photos. A good rule of thumb is 33 pictures of the bride, 33 pictures of the groom, and 15 to 20 pictures of the bride and groom as a couple. Selecting one song to be played over each segment provides theme music for each sequence and lends itself well to transitions. Plan on scheduling your slideshow immediately preceding the speeches or during desert. If you have a lot of speeches, definitely wait until desert. We hope this information was helpful. If you have any questions or concerns, please consult Music By Design at 630.262.0432. The food was great! Outstanding views from the 15th floor reception hall. As DJs, we see many different events and a few crazy things now and then. After looking at the job sheet for Saturday, I noticed the bride’s grandmother was scheduled to sing. The bride wanted the singing to take place after the mother/son dance and I was slightly concerned about how well this would go over. In the beginning of the evening, the grandmother stopped by the DJ booth to express how nervous she felt. When the time came, I gave her a proper introduction, and she calmly made her way to center stage on the dance floor. What happened next blew us all away. She started with a 5 minute heartfelt monologue that explained what she was singing and why. She was outstanding! Even before the singing began, she had the crowd laughing one minute and tearing up the next. Finally, the singing began and she nailed it! The entire room was on the verge of tears and disbelief. Her singing was absolutely breathtaking. She finished and the room was mesmerized. A split second of silence was followed by a standing ovation. The bride and groom (still in tears) met her halfway for hugs.